One example of how business models could change is solutions like Livepeer. Based on blockchain, it’s a distributed live video streaming platform offering cheap, uncensored content; where users contribute unused bandwidth in exchange for crypto-tokens. But these are also attributes pirates would like. What’s the attraction for pirates? Firstly, it’s the anonymity (or technically pseudonymity). Transactions rely on public and private encryption keys. Although the transactions are transparently recorded and stored in the ledger, the individual behind them is anonymous. Whether sharing pirated content or exchanging Bitcoins – your real identify is hidden. Well, Bitcoin isn’t as anonymous as people would have you believe. Recently two of the largest known DarkNet marketplaces AlphaBay and Hansa Market were taken down. Europol estimated that transactions in Bitcoin and other cryptocurrencies since AlphaBay’s creation in 2014 reached USD $1billion. Another attraction of blockchain is it’s a distributed ledger. There’s no central server or single entity. For pirate P2P sites, being shut down or blocked is one of the hazards of their trade. With blockchain’s distributed nature this threat is diminished. How are pirates using blockchain? Beyond the obvious that cryptocurrencies allow the pirates to get paid and remain anonymous, leveraging blockchain’s distributed network as a content repository is prevalent; either as a torrent site or Dropbox. Play on Zeronet is probably one of the best-known examples of a distributed torrent site utilizing blockchain. Then there’s decentralized streaming. An early example of this was Purevidz. Although it appears offline now, it’s worth highlighting what could be established; including their concept of bounty hunters who were rewarded in cryptocurrency for sourcing the requestor’s content. No doubt, we’ll see this concept reappear. There’s also the potential that blockchain could be used to circulate links/URLs to pirated content instead of a search option or to distribute keys to decrypt content. Despite the hype, blockchain is still a nascent technology. There’s ongoing evolution within the various blockchain fraternities. For instance, there was the split resulting in Ether and Ethereum Classic. Now more recently, there was the Bitcoin fork resulting in the creation of Bitcoin Cash and the move to increase the block size to 8mb from 1mb. Online piracy, particularly content redistribution, remains the biggest problem facing content owners, broadcasters and operators. Is blockchain making that worse? It’s hard to judge at the moment. 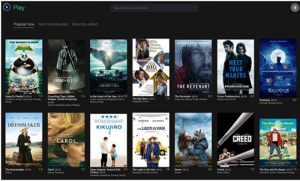 Of course, any innovative technology that can be exploited for content piracy should be closely monitored and assessed for its potential impact. And this is one reason, that having access to experts to keep you up to date with the changing pirate landscape is critical. 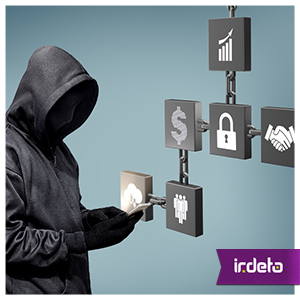 This entry was posted in Media & Entertainment and tagged block chain, blockchain, Irdeto, online piracy. Bookmark the permalink.